Many organizations want to improve their risk management process but don't know where to start. There are many straightforward changes that can be made when dealing with insurers, brokers, and daily operations that can benefit any organization. 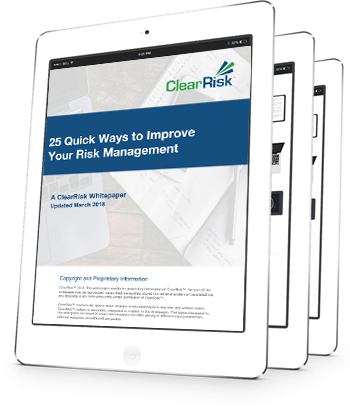 In this free whitepaper you'll learn 25 simple and cost-effective tips that can be used to mitigate risk and improve risk management.